OMG. It took me a bit to get into this book. It didn’t grab hold like some others have, not until the last fifth or so, but it had a charm – a violent, twisted, angry charm – that drew me in. Jude is not a damsel in distress; she refuses to be. She is a fighter. She is unafraid of violence as a means to an end. She is a stranger in the world she grew up in, and knows it, and is determined to find her place in it. Even if she has to lie, cheat, and pave the way with blood and false promises. Ever since The Young Elites, I love a protagonist that makes bad choices. I love a protagonist that could arguably be the antagonist at the same time. And the world building – OH MY HEART – the world building in this book is amazing. It’s filled with magic, faeries and magical creatures, and a society built upon it. Now, at first I thought this story would have one foot in the mortal world and one foot in the faerie world, but it doesn’t. It throws rocks into the mortal realm. My only peeve with this story is how long it took to get into it. It stars off with spats of royal faerie kids being totally sh**s, and the main character being overly “I’m an outcast.” But then it kicks up. Jude turned herself into a badass and Cardan’s character deepened. It also did that thing where narration cut into the scenes, sometimes every other dialog line – which annoys me. Get on with the story. I don’t need to know what Jude is thinking every two seconds. 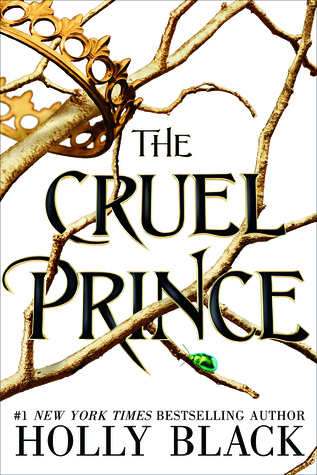 The Cruel Prince by Holly Black gets a 4 out of 5 from me. It had everything a fantasy story should have: charming, twisting characters; a twisting plot; and a world breathing with magic – all hinted with cruelty and violence and secret motives. I am looking forward to the next in this series.